My schedule, in detail, varies widely. That being said, it follows a general routine: Hay Days in September, the Denver Expo at the beginning of October, VOHK’s open house in early November, back to my home in Scobey, Montana for Thanksgiving, and then, my sled season starts in early December. I close the season down with Jackson for the World Hill-Climb Championship, followed by a week in Revelstoke, BC with Jim Phelan and the Thuderstruck/Klim crew, and then, maybe a few more rides for myself, if I’m lucky. However, during my Thanksgiving break, my Facebook newsfeed lit up with a notification from Klim, inviting me to their Open House to celebrate their now-complete upgraded facility and showroom. The event detailed a guided tour of the facility, food, and some great sales on merchandise. Not wanting to miss an event like that, I added it to my schedule, knowing that I could probably pick up some work along the way. Over the next few days, I feverishly worked the phones, trying to line up any sort of a ride or shoot to help make the drive make more sense. I also needed to pick up my new sled from Boondocker Turbos, which is conveniently just down the road from Klim. 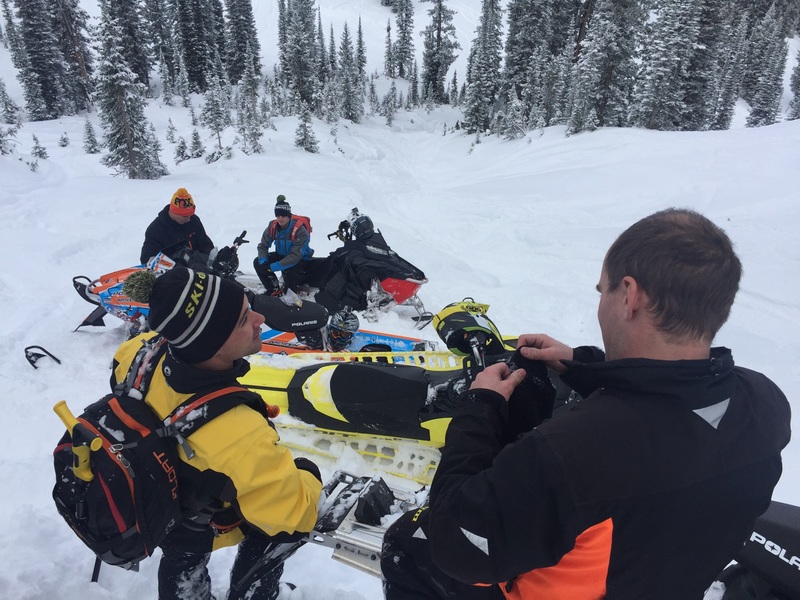 Junior, Jared and the crew from Boondocker were installing a new Sidekick Turbo, their pre-tuned $3,995 turbo kit that debuted this season for the Polaris AXYS platform. Days before I left, I still didn’t have much on my plate, no ride plans, and no co-pilot. Above anything else, I didn’t want to make the 550-mile drive alone. At the last minute, I got a call from Adam Onasch, who I’d been trying to get to join me for almost a month; he was in. Adam lives about 100 miles from me, in the wrong direction for this trip, so we met in Rawlins, WY, at the gas station. We loaded his 2016 Polaris on my sled deck, secured the cover, and hit the road, just as darkness descended upon us. Barely able to keep our heads upright, we arrived in Idaho Falls, and checked into the hotel. We were too tired to even bring in our gear, my camera equipment, or the trash. The clerk fumbled, deliriously, trying to check us in; I’m sure he had been snoozing in his chair before the door opened. I don’t even remember my head hitting the pillow. The next morning was hectic. I had a full day of shooting at the Boondocker facility. It started with a meeting between myself, Junior Young, Rocky Young and Jared Sessions, where we outlined the goals of the upcoming season, and what we each expected. Adam, politely but curiously, was my intern for the day. We shot an endless stream of B-roll, trying to capture the entire process at Boondocker, from answering the phones to welding tubing, and finally to the install. The foot-traffic through their facility was incredible, and included an all-start lineup of snowmobile talent, including Keith Curtis, who was also prepping for the upcoming RMSHA circuit. Add to that, the fact that sand-season had still not completely wound down, and there were Polaris RZR’s everywhere, still with the new-toy smell, getting a quick implant of power. The evening concluded with the Klim Open House. Klim’s new facility is impressive, to say the least. Several miles from Idaho Falls, out on a dusty county road, surrounded by irrigated fields, sits a magnificent building, an urban piece of architectural art amidst the rural backdrop. Adam and I were a little early, but wanted to offer our help with last minute prep-work. 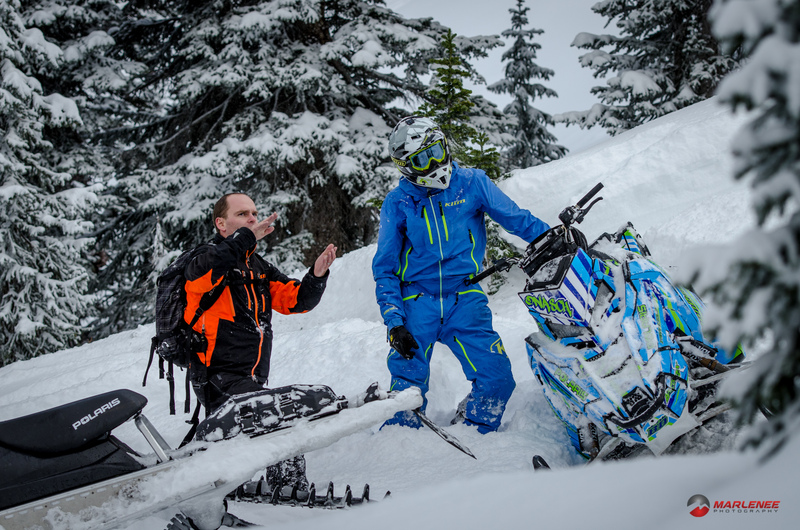 We threw on a pair of gloves, as the temperature was below freezing, and helped each of the Klim athletes unload and stage their sleds, starting with Chris Burandt and Ross Robinson and ending with Matt Entz. Everyone is looking for a deal on Klim gear! The event lasted well into the night. 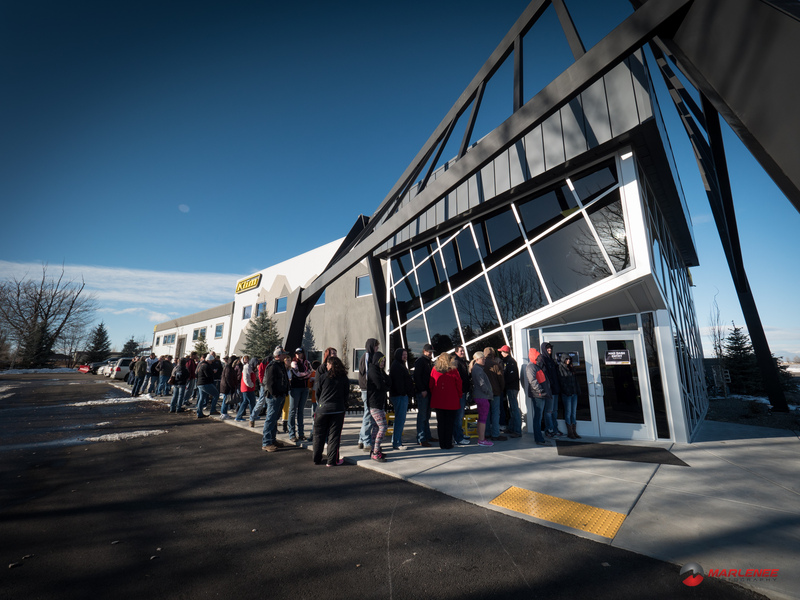 It began with excitement for Klim and their new building, as well as excitement to meet the athletes, but ended with droves of shoppers, each looking to snag a deal. Some of the garments were discontinued, some were textile samples, and some were just overstock. The new gear, unfortunately, was not on sale, but almost everything else was a steal. If Klim does this again, you need to put it on your list. 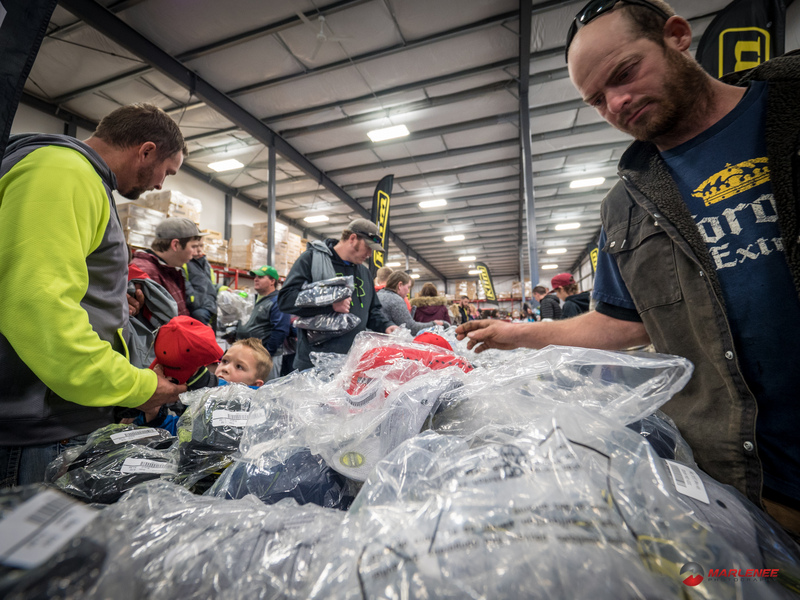 As the night wound down and the last shopper left, a small group of us, mostly Klim Athletes and captained by Sid Huntsman, began to help with tear-down. It was a fun team-building exercise, despite the work. At one point, Jared Sessions picked up his phone. His face lit up as he let us know a storm was in the works. Each of us were eager to ride, and we all had our sleds, and so, at the last minute, we decided to meet for a quick ride before we had to head to our respective homes. The trail ride in was treacherous. The groomer had not yet been out for the season, and, in fact, the first quarter mile or more was mostly gravel, peeking through a small blanket of snow, but loud against the plastic of our skis. We gained elevation, but conditions didn’t improve. Several creek crossings impeded us, lodged with downed timber and razor-sharp granite scree. Soon, we had climbed enough where the snow was rideable. I was cautious to leave the trail on my brand new sled. The stiffness of my new track whipped me around, catching patches of ice. An All-Star Weekend: Stephen Clark, Tony Jenkins, Keith Curtis, and more! Finally, we reached the riding area, and the excitement overtook everyone’s cares. First up the hill was Cole Willford, who trenched his way through the bottomless powder. Running out of traction, he turned out. However, the terrain had other plans. He became lodged between two stumps, and a branch had shoved him off of his sled. Keith Curtis, followed his line, meaning to help free Cole, when the bottom dropped out for him, too. Now, with two sleds in precarious spots, the rest of us laughed and watched as they pin-and-wiggled their way out. Next, I setup my cameras and went to gather some interviews. I wanted to get a couple of first impressions. This was the first time the production-ready sidekick had been run, other than by the Boondocker employees during their testing. The reactions were easy; this sled was a riot to ride. But, the snow had us socked in, now heavily accumulating. But, it didn’t matter. Burandt was grinning from ear to ear. And, everyone on my sled had a similar reaction. My final interview of the day was to be Adam Onasch. I was setup and had started interviewing when we both heard the distinct sound of a fully-pinned sled, roaring through the trees. Slowly, like a pelican, Onasch rotated his head, and then his body, trying to figure out where the noise was coming from. In an instant, Ross Robinson, on his Rambo-inspired, camo-wrapped sled appeared from the tree line, heading up. Adam laughed. Ross was trying to follow Burandt’s line, well, Ross was the fourth person to try. Now rutted out and nearly impassible, Ross’s fate was locked in. We watched in astonishment, as Ross was forced uphill, losing all momentum. In full-wheelie, he managed to get his sled turned around. However, he had no control of where he was going, at this point, or where he would end up. Spinning at full throttle, his track lined up directly into a tree. 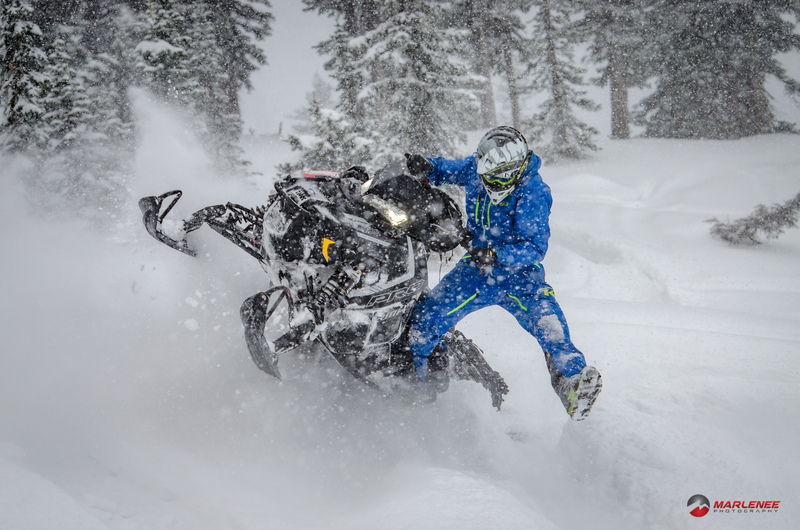 Still in a near-vertical wheelie, but now pointed downhill, his momentum began pulling the nose of the sled down, putting pressure back on the track. Now, directly aligned with the tree, his Polaris began to climb the tree. The tree spring-loaded with energy. 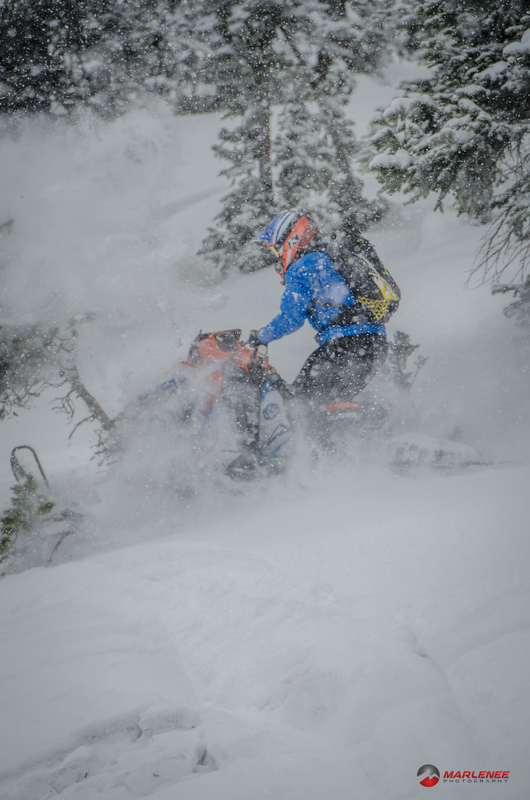 As his balance point pushed past the top of the tree, his nose continuing downward, the tree unloaded its energy, flinging the tail of his sled, catapulting Ross down the mountain, chased closely by his endo-ing sled. Slowly, Adam turned back to me. We looked at each other for some time, without words. His helmet prevented me from seeing his face. Ross was still rolling down the hill, although nearing completion. Several more minutes passed. Adam’s helmet tilted forward, and I could hear his wheezing laughter.